Ingolstadt put a halt to the seemingly unstoppable force of RB Leipzig on Matchday 14. Werder Bremen proved age is just a number, Artjoms Rudnevs demonstrated why Borussia Dortmund are his favourite opponents and Uli Hoeneß is quickly becoming Bayern München's lucky charm. It’s the Matchday 14 stat-attack! RB Leipzig’s historic unbeaten start in the Bundesliga came to an end against unlikely opponents FC Ingolstadt 04. This was also the first time the newcomers were unable to find the back of the net on a Matchday. 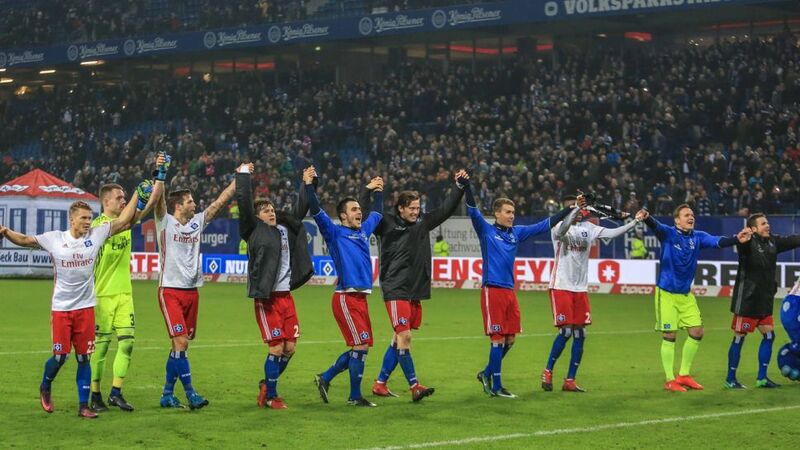 For the first time this calendar year, Hamburg have won two consecutive Bundesliga games. They beat SV Darmstadt 98 on Matchday 14 before clinching a 1-0 victory against FC Augsburg on Saturday. 1. FC Köln’s Artjoms Rudnevs has scored more goals against Borussia Dortmund than any other club. His effort on the weekend was also his first goal for 1. FC Köln in Germany’s top flight. Since Uli Hoeneß was re-elected as club president, FC Bayern München have won all four of their competitive fixtures. Eintracht Frankfurt are unbeaten in eight Bundesliga games. Friedhelm Funkel was head coach the last time the Eagles boasted such an impressive streak. In 12 Bundesliga games against VfL Wolfsburg, Torjägerkanone candidate Robert Lewandowski has netted 12 times. Nils Petersen netted for the 15th time in the Bundesliga as a super-sub on Matchday 14. He sits level in the all-time rankings alongside Bremen’s Claudio Pizarro. The SC Freiburg player is only three goals short of title holder, Alexander Zickler. With his 28th shot on goal this season, Thomas Müller was finally successful against VfL Wolfsburg. His goalless drought lasted 12 Bundesliga games; a total of 999 minutes. With Jaroslav Drobny, Claudio Pizarro and Clemens Fritz in Bremen’s starting line-up, three players were over 36 years old. Never before have Die Grün-Weißen fielded so many players over the age of 36. For the first time in his career and on his 166th Bundesliga appearance, Hamburger SV's Lewis Holtby was shown a red card. Nils Petersen scored SC Freiburg’s 700th goal in the Bundesliga. Ingolstadt against Leipzig was the 900th pairing in Bundesliga history. Freiburg against Darmstadt. which had an earlier kick-off on Matchday 14, was pairing number 899. Click here for the Matchday 14 round-up! Click here for the Matchday 14 talking points!